This application is provided as-is. It is by no means complete, though most of the features implemented are known to work reasonably well. Mac OS 10.9 "Mavericks" or newer. User interface rework in progress. ReplayGain and DSP settings now accessible. 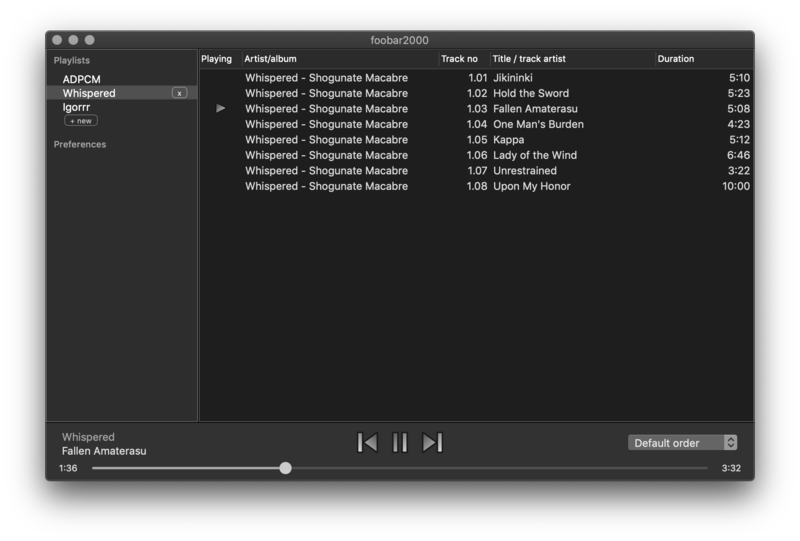 Playlists can now be manipulated through a siderbar. 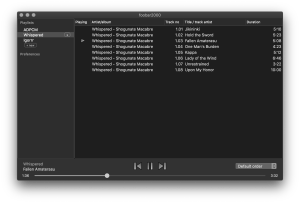 Now compatible with OSX Mavericks and newer. Fixed bugs in verify integrity tool. More FTP client fixes, experimental support for encrypted FTP (ftpes://). Fixed a crash when reading certain zip archives. Fixed incorrect reading of certain APE tags. Properties dialog bug fix, adding custom fields now works correctly. Fixed toast messages not working in some cases, playback errors in particular. Better feedback when attempting to play a DRM protected WMA file.